Is it just me, or do all New Yorkers spend the dreary days following January 1st waiting with bated breath for springtime? Despite the gloomy skies and freezing temperatures, spring is right around the corner. On a winter Sunday, there’s no place I’d rather be than locked up in my apartment, appreciating the coziness of my home and feeling grateful for the mere fact that I have a roof over my head. But that is not quite enough. Roofs are cool, to be sure. But I am also a foodie. And foodies are always looking for new recipes. This is a wonderful activity. 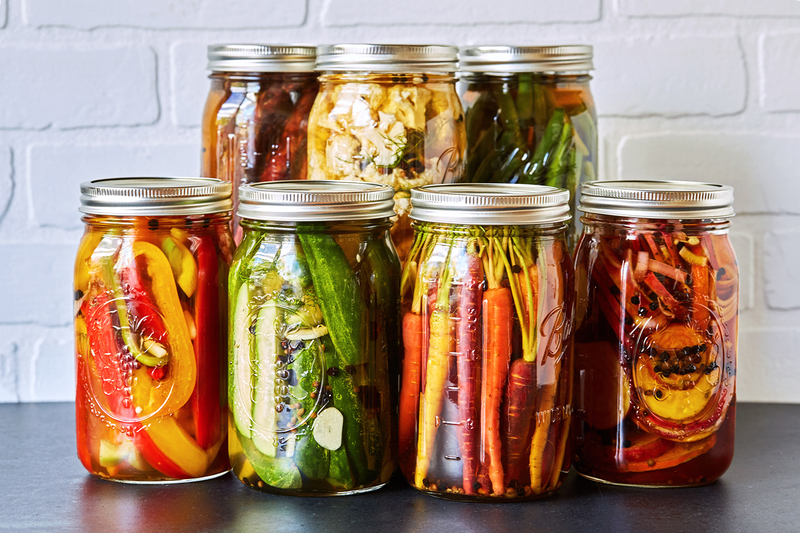 And, as a fun weekend project –and to avoid spending too much time on the couch– I turn to one of my favorite at-home activities –pickling vegetables! The beauty of pickled veggies is their versatility. They taste great on their own as a healthy snack, can be buried in sandwiches, atop a cheese board, or simply as a tangy side dish with dinner. I found a recipe for quick pickled vegetables on Feasting at Home, a veggie-driven blog with recipes and tips and tricks from chef Sylvia Fountaine’s home kitchen. The recipe allows for creativity — simply choose the vegetables, spices, and vinegars that you like best. Using quaint Mason jars, these pickled veggies can make for the perfect homemade gift for friends and family! Other optional additions – whole cloves, dill seeds, whole allspice, fresh ginger slices, fresh chilies or chili flakes, celery seeds, peppercorns, cumin seeds, star anise, other fresh herbs. Bring the water, vinegar, salt, and sugar to a boil in a small pot, and in the meantime pack the jars with the prepped veggies. Begin adding the veggies and if you are including the onion, layer a few slices in the veggie along with any fresh herbs you would like to include (you can also layer the garlic this way too, or put it in first, your choice) leaving about an inch at the top of the jar. Using a funnel, carefully pour the hot liquid into the jars, making sure to submerge all the veggies, pressing down on them with the end of a wooden spoon. You may be able to add more veggies leaving at least half inch of room between the liquid and lid. 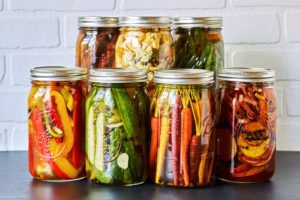 If you are planning to can your pickles for long-term storage, bring a large pot of water to boil and sterilize 2 wide-mouth pint jars and their metal lids. Place the pickling liquid in saucepan over high heat and bring to a rolling boil. Pour the bring over the veggies filling each jar to within ½-inch of the top. Remove any air bubbles. Gently tap the jars against the counter a few time to remove all the air bubbles. Top off with more pickling liquid if necessary. Tighten the lids. Place the lids over the jars and screw on the rings until tight. For longer storage, place the filled jars in a boiling pot of water to can them. When the water comes back to a boil, boil for 5 minutes then remove the jars immediately. Make sure the lids pop down. The Rabbi Arthur Schneier Park East Day School is a prestigious NYC Jewish Day School in the heart of New York City. Located in the Upper East Side, this Jewish Day School promotes academic growth through community and collaboration.